Photo courtesy of Mungo’s office. 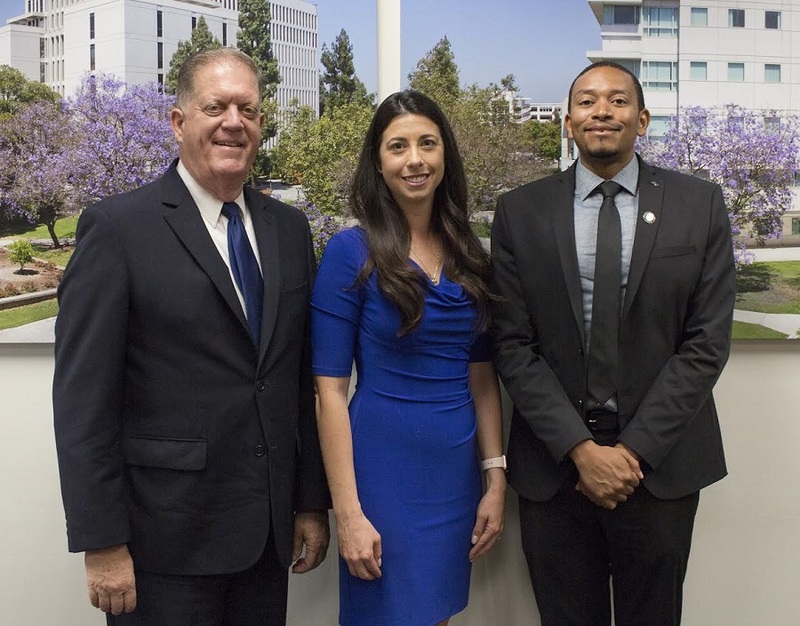 From left to right: Sterling Franklin, trustee of the Morris S. Smith Foundation, Stacy R. Mungo and CSUF junior and fund recipient Michael Friend. Cal State University, Fullerton announced last week the creation of the Stacy R. Mungo Endowed Scholarship fund, named after the Long Beach councilwoman and to be awarded to undergraduate students majoring in public administration. The fund was created by a $25,000 gift from Sterling Franklin, trustee of the Morris S. Smith Foundation, according to a release. Each year, the scholarship will be awarded to a different student and will be available to undergraduate students majoring in public administration, with special preference for students who graduated from a Long Beach Unified School District high school, participated in student government in high school and/or CSUF, and/or earned recognition as a Presidential Scholar at CSUF. The first scholarship to be awarded next fall will go to CSUF junior Michael Friend in the amount of $750, according to spokeswoman Christine Schachter. Mungo, a Long Beach Post 40 Under 40 winner, was born and raised in Long Beach, having graduated from Lakewood High School before enrolling at CSUF as a Presidential Scholar. After graduating from CSUF in 2002, she earned a Master of Public Administration degree from USC in 2005 and was elected to the Long Beach City Council in 2014.